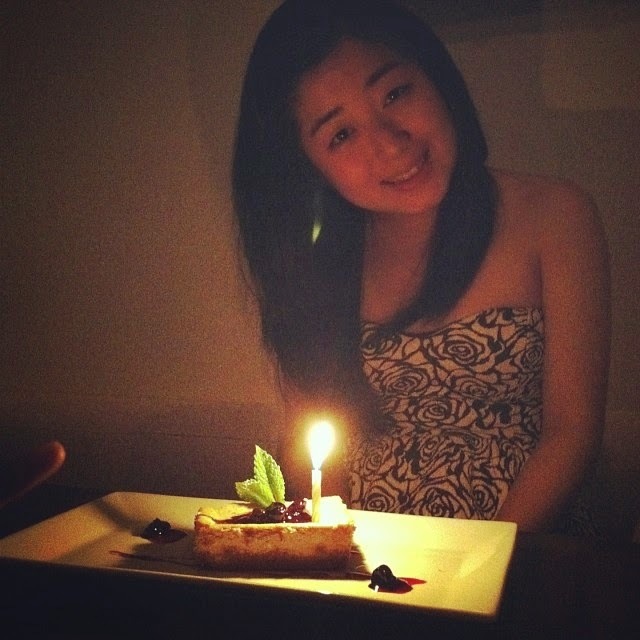 I got a bottle of moscato wine as a birthday gift, and figured it would go to good use in a blog post! 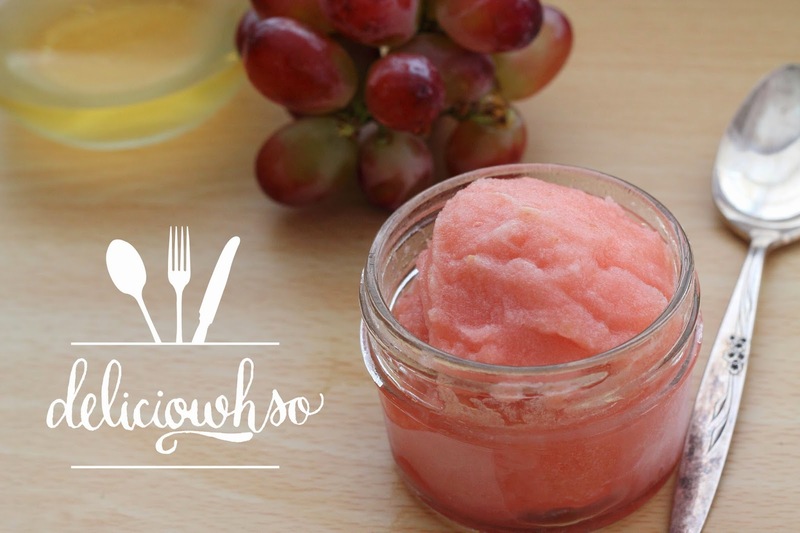 This sorbet is simple, with only 4 ingredients! It boasts the sweetness of grapes with a subtle wine flavor that adds depth and complexity. 1. Combine grapes, sugar, and water in a small pot. 2. Cook the grapes until tender on medium heat, about 20 minutes. 3. Remove the pot from heat and pour the contents through a fine sieve. 4. Take the grapes from the strainer and put into a food processor or blender. 5. Puree the grapes, and pour back into the sieve. 6. Use a spoon or spatula to push the puree through the sieve. Once all the moisture is removed, discard the remaining grape pulp and skin. 7. Add the moscato wine and cool completely in the fridge. 8. Once cold, spin the sorbet in an ice cream machine, according to the manufacturer's instructions. This may require you to place a base in the freezer for at least 24 hours. I like to keep my base in the freezer just in case I spontaneously make ice cream. 9. 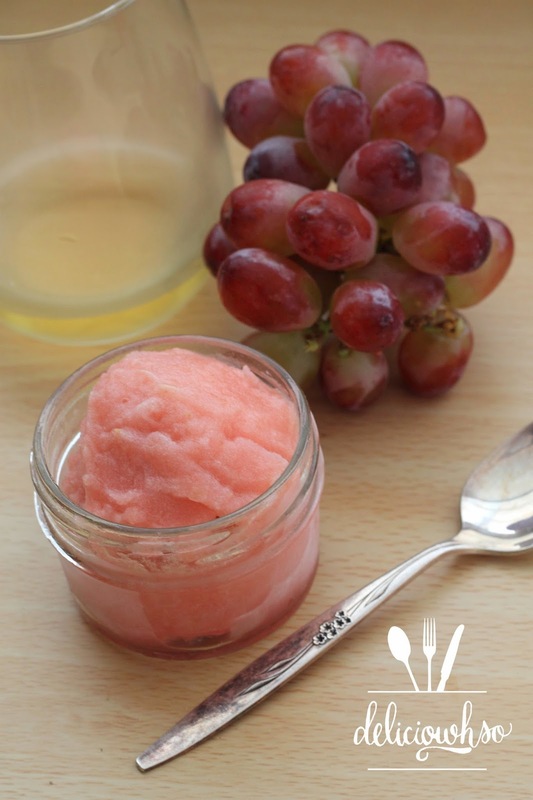 Once the sorbet is frozen, pour into an airtight container and place into the freezer to harden for at least 3 hours. 10. Serve in chilled glasses or bowls. This sorbet would also go great in a glass of champagne. It would create a great fruity flavor to accompany dry champagne. It's a refreshing treat perfect for summertime! Cheers!! !